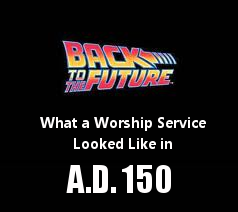 We have noticed a disturbing trend in the corporate worship songs of the church. Perhaps you have too? It seems that we sing very little about the main point of Christianity. This is largely because the church wants to be more “sensitive” to those who are not Christians. 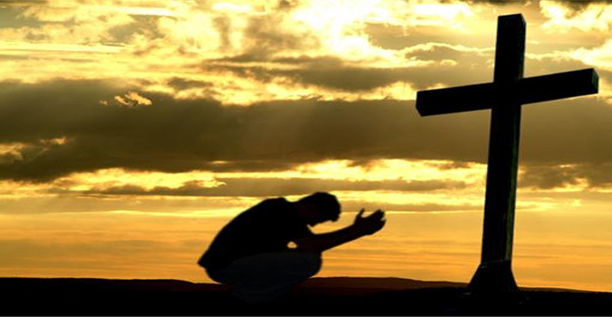 With the best research in hand, we are told that non-Christians don’t really want to hear about sin and guilt and being accountable to a holy God. They also don’t want to hear about a Savior dying on a bloody cross for their sins. To reach them, we are confidently told, we must eliminate these topics from our sermons and our songs. Sadly, much of the Evangelical church has mistakenly signed on to this approach. We could not disagree more strongly! As one who has been responsible for leading corporate singing for years, I can attest to how frustrating it has become to find songs that are worth singing! There are many out there, but it takes time to find them. Because of this, we have started a new feature at Not For Itching Ears. Each week, we will post one worthy (at least in our opinion) worship song for you to listen to. We will post the lyrics as well as the Mp3 along with a chord chart when possible. This weeks selection is “The Greatest of All” , we hope you enjoy it. After listening to it, please rate it by taking our quick poll. You will find the poll at the bottom of this post. Posted on December 15, 2010, in The Cross, Worship and tagged bob Kauflin, C.J. 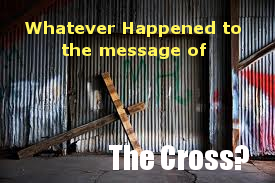 Mahaney, christianity, cross-centered worship, Fanny J. Crosby, Pat Sczebel, Sons & Daughters, Sovereign Grace Ministries, The Greatest of All, worship, Worship Music. Bookmark the permalink. 9 Comments. This song really blessed me today. Thank you Pastor Jim!!! Greetings in the love of Christ to all my brothers and sisters in your fellowship and wishing all the best celebration of our Saviour’s birth!!! Thanks for the song. I look forward to seeing more. I’m just excited to see that you see things like I do! How refreshing! I detest “the emergent church” and all the “new christianity” nonsense. Instead of straining towards the newest coolest flavor-of-the-month in regards to being a more sensitive (feminine), accepting (compromising), diverse (allowing sinful lifestyles status), and open-minded (non-conservative politically) “church”, shouldn’t we simply all go back and re-read The Book of Acts and use that as our template? ps: Enjoy your stuff so far! L.P. Thanks for checking us out! Donald, yes the church should go back to Acts. Will we, is another question. I have. Thanks for stopping by. Will “the church” go back to Acts…? Thanks for the book tip, I will check it out. You have given us a lot to think about here! I have stong misgivings about the emergent church movement. The seeker-sensitive movement has practically taken over the American Church, with catostrophic results. 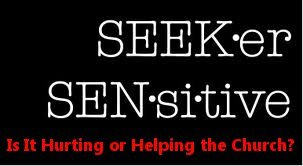 I will soon be posting an article that I am working on called “The Seeker-Sensitive church is Neither” that goes into this in more detail. What do you think the answer to these two branches are? Looking forward to your upcoming post about “Seeker-sensitive church”. I agree with Daniel, above, 100%. The New Age has indeed set up camp within mainline Christianity. Personally I believe it is God’s way of culling the herd. He said the elect wouldn’t be deceived. Well, what about the non-elect? Perhaps it is they who rush to such false teachings because they were never invited to truly sit at our Master’s feet in the first place. Just a thought. I am loosely referencing Matthew 7:21.